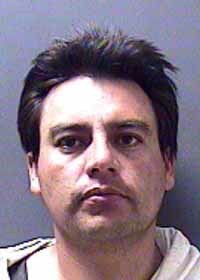 A Sept. 13 jury trial has been scheduled for a Blaine County man accused of beating his wife. Gerardo Finck-Garcia was arraigned Monday in Blaine County 5th District Court on a felony charge of "domestic violence inflicting traumatic injury." Judge Robert J. Elgee advised the defendant that the crime is punishable by up to 10 years in prison and a fine of up to $10,000. Finck-Garcia pleaded not guilty. Ketchum attorney Dan Dolan has been appointed public defender. Finck-Garcia remained incarcerated Tuesday in the Blaine County jail on $10,000 bond. He has been in custody since his arrest on May 31 by the Blaine County Sheriff's Office. According to the Sheriff's Office, the federal Immigration and Customs Enforcement agency has filed an immigration detainer against Finck-Garcia accusing him of being in the United States illegally. A probable-cause affidavit filed by Deputy David Aslett states that an altercation ensued at the couple's home at The Meadows trailer court south of Ketchum shortly before 8 a.m. on May 31. Aslett wrote that Finck-Garcia became upset after he found emails on his wife's cell phone from an "old boyfriend." Finck-Garcia allegedly then began beating the woman, punching her in the face and arms, knocked her down and kicked her. "At some point, [the wife] stated he had held her down with his knees on her arms and then began punching her in the face," Aslett wrote. According to the police report, the woman suffered bruises on her face and forehead and on her arms and legs. Aslett reported that the woman was taken to St. Luke's Wood River Medical Center, where it was determined that she also had a broken nose. In court Monday, Elgee, at the request of the wife, modified a no-contact order to allow the woman to visit her husband in jail.